"MeteoTemp with MeteoShield provide one of the lowest uncertainties in air temperature measurement." Ultra-low power temperature, humidity, dew point and frost point probe for meteorological air temperature measurement. 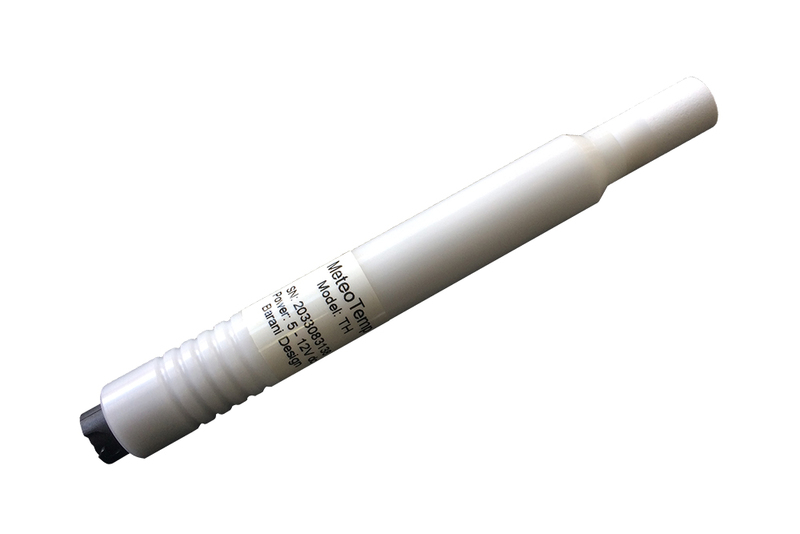 Its combined power consumption of 800 µA, is often 5x less than other meteorological temperature and humidity probes. Self-cleaning Teflon© material keeps measuring elements clean. Super-hydrophobic and field replaceable micro-porous filter cap offers long-term dirt resistance ensures efficient air humidity and temperature transport, while preventing dew and water spray absorbtion in wet environments such as rain forests and roadside sensors. Ultra-low power consumption not only means higher accuracy, but also extends your weather station battery life. Say goodbye to self-heating with only 800 µA of average combined power consumption. MeteoTemp's power consumption is 5x lower that the meteorological industry average for digital temperature and humidity sensors. 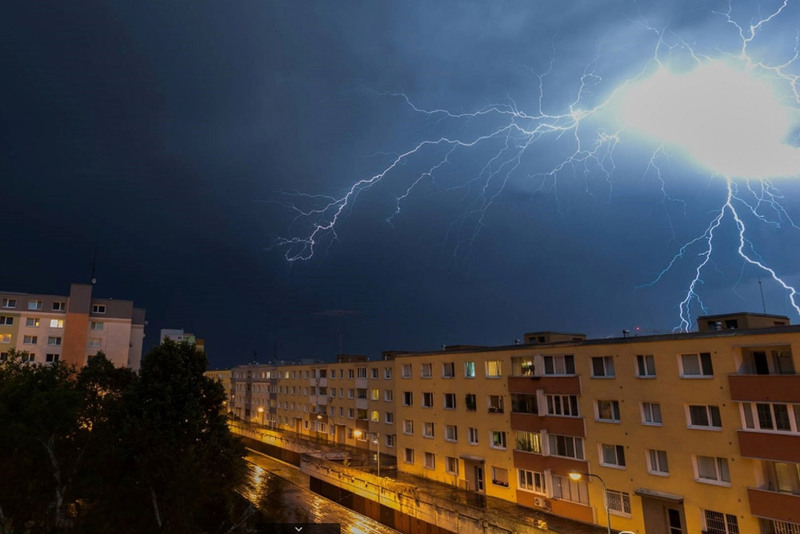 3-stage lightning protection is standard on MeteoTemp and made possible by the use of RS-485 digital output which has inherently high resistance to interference. RS-485 standard is the most widely used communication interface in tough industrial environments. It offers reliability and in combination with MODBUS protocol makes installation and integration of MeteoTemp into your sensor network or industrial SCADA system easy. In combination with MeteoShield, achieve some of the lowest air temperature uncertainties. Is your sensor just as dirty as your multi-plate solar shield? (see picture above) Don't keep repeating the same mistake and switch to a helical MeteoShield. Helical shield protects your sensor not only from the sun but also from the elements. Increase your sensor life. 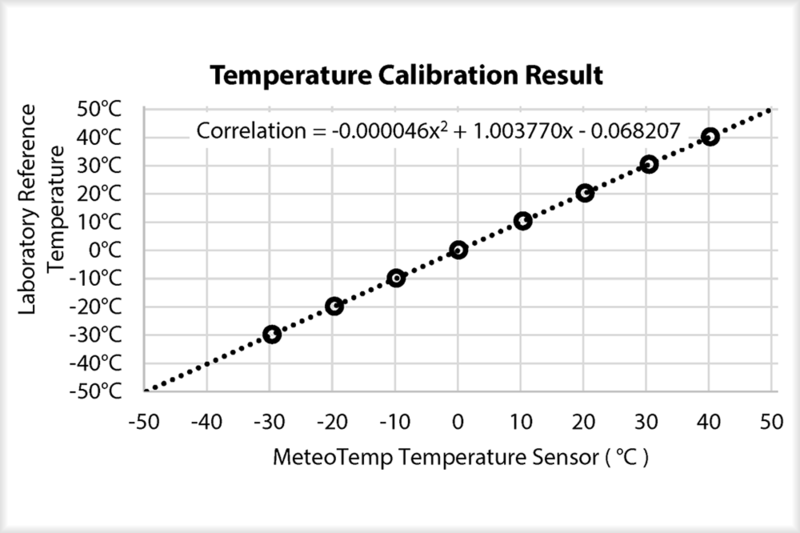 MeteoTemp + MeteoShield offers meteorological industry's lowest measurement uncertainty. MeteoShield will keep your sensors cleaner and measuring longer. Reduce the effect of rain and snow on your measurements with MeteoShield. Calibration info: From a simple offset value to a quintic (x^4) calibration equation, complex calibration is possible. Coefficients with up to 9 significant digits for maximum accuracy can be entered and saved and read out of the sensor via simple MODBUS commands as instructed in the calibration guide. Where is self-heating error hidden? Self-heating is an important factor for professional air temperature measurement in meteorology. Low wind conditions cause air to stagnate in most radiation shields, thus uncovering this seldom talked about measurement error. (Helical shields and fan-ventilated shields being the exception) Since self-heating is a problem for most digital humidity and temperature sensor probes, it has limited their use where temperature accuracy is really important. This can be seen by the meteorological industries strong reliance on analog PT100 platinum temperature sensors. How much are you paying for each each 0.1 °C of accuracy? Many times each 0.1°C of accuracy costs hundreds. Expensive sensor calibrations provide plenty of airflow (or fluid flow) to each sensor during calibration, thus self-heating error remains unseen. In real world applications, the self-heating error can reach over 0.2 °C. 820 µA including a pressure sensor with RS-485 MODBUS RTU and ASCII interface and integrated lightning protection. High quality temperature data of MeteoTemp sensor in combination with lowest air temperature measurement uncertainty of the patented helical MeteoShield Professional surpasses any other available solution on the market. Simply precise with an ultra-low power advantage for long term measurement stability. MeteoTemp eliminates self-heating effects from meteorological measurements.